Superdry men’s Vintage embroidery vee t-shirt from the Orange Label range. 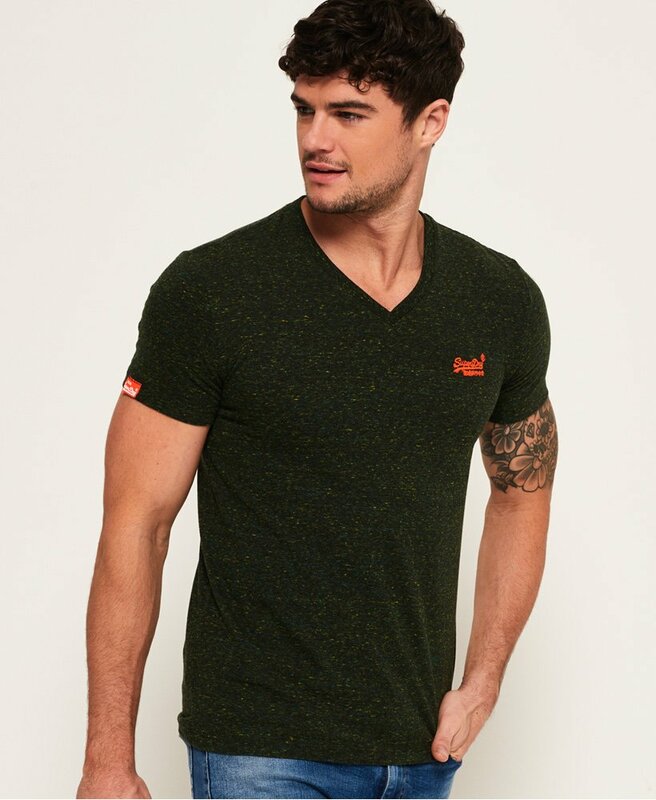 Part of our iconic Orange label range, this classic short sleeve tee is perfect for this season. Featuring an embroidered Superdry logo on the chest and a Superdry logo tab on the sleeve.